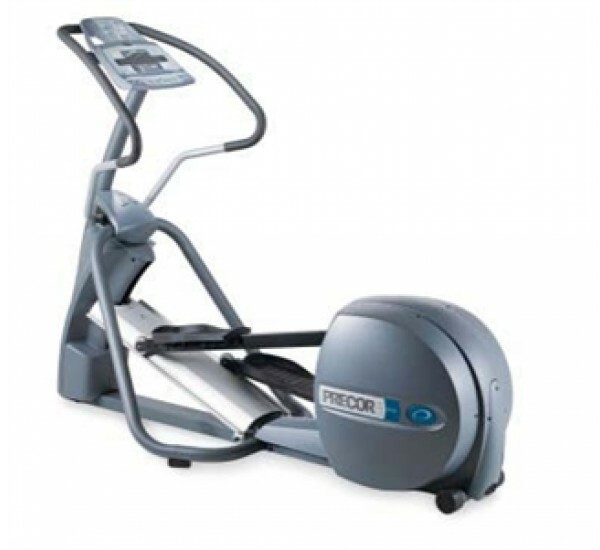 The Precor EFX 556i Experience Series™ Crosstrainer is a new and improved model of the original Precor EFX 556. Both the original EFX 556 and EFX556i Experience Series have identical biomechanical movements. 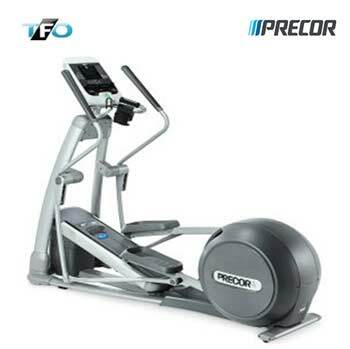 However, the Precor 556i has an experience series display, using the most advanced technology in the fitness industry, that provides users with more programming options than ever before. Its many levels of intense training, combined with its exciting pre-programmed workout courses and comprehensive digital feedback, provide users with fun training options, that ultimately will motivate and inspire people to reach their full potential. Keep in mind, exercise routines must remain fresh and innovative in order for people to remain in-tune with their physical fitness routine. A quick example….If you are excited to break your previous record for distance, time or total strides, clearly you are more likely to lose weight and stay looking fit, than someone who does not set goals for getting in shape. Each and every day you use your home gym equipment you should be trying to do a little something extra that you did not do the last time. Having great workout options such as hill climbing programs or pre-programmed fitness tests allow users to be truly interactive with their machine. People all too often overlook the importance of workout programs and courses and write them off as superfluous accessories. It is the total opposite. 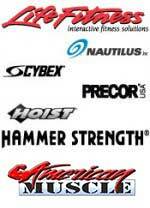 We have read so many success stories of people who have changed their lives and taken themselves from hell to heaven, due primarily in part to their fascination with the fitness courses pre-programmed in their Precor Elliptical and how they love monitoring their own results every time they use the equipment. Specifically, this Precor EFX Experience Series 556i™, has the ability to workout out all four limbs of your body, providing you with an exercise that will leave you feeling entirely exhausted. 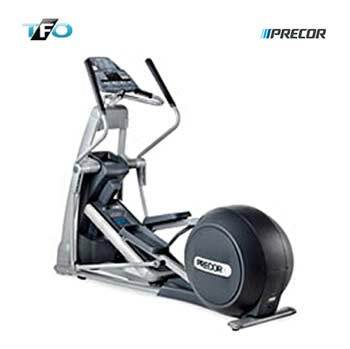 Precor designed the perfect total body trainer with the EFX 556 due to its extremely fluid and smooth stride motion that mimics natural running and walking motions perfectly. The cross ramp is set and fixed at 20 degrees.